Anthony Crolla will soon learn a likely date for a world title fight with Vasyl Lomachenko and intends to 'assess' his future after facing the Ukrainian star. The Mancunian defeated Daud Yordan on points in November to become Lomachenko's WBA mandatory challenger, but the unified champion could firstly attempt to add the IBF belt to his WBA and WBO lightweight titles. Richard Commey and Isa Chaniev will fight for the vacant IBF belt on February 2, with Lomachenko lining up the winner, and Crolla's promoter Eddie Hearn is waiting to see when the WBA defence will be scheduled for a lucrative bout in America. "The money for that fight is actually in America," Hearn told Sky Sports. "I don't believe that fight happens in the UK, but there are purse bids on February 4. "Top Rank will try to get a unification fight for Lomachenko. Crolla would have to wait, but we don't think that should be allowed, because it was called before certain fights were made, and if it goes to purse bids, someone is going to be very happy." Crolla would be scaling new heights against Lomachenko, one of the sport's pound-for-pound best - having already achieved his ambition of winning the WBA belt, then sharing two creditable points defeats with another elite fighter in Jorge Linares. 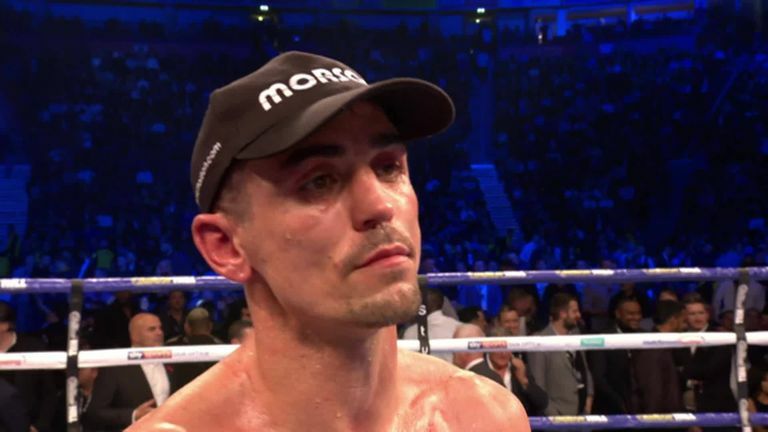 At the age of 32, Crolla admits he would have called time on his career if he had lost to Yordan, and will make another decision about his career after his next world title fight. "I take it fight by fight, and see where I'm at," said Crolla. "Last time out, Daud Yordan is a very good fighter, I beat Daud and I showed I belong at that level. We'll assess it. One, two more fights, we'll see. "If I couldn't, then I would have retired. Obviously I take it fight by fight and hopefully Lomachenko happens, either April or in the summer. Hopefully we'll find out a bit more soon, then we'll assess it. "I'm under no illusions, this time next year I could be sat here with you and I've hung up my gloves and I'll miss boxing so much, but I don't want to carry on too long. "I feel fantastic in the gym, I feel like I'm still improving, but I know it's one of those sports, it can take a lot from you and you've got to take more from boxing than it takes from you. "We'll assess it. One, two more fights, we'll see." Madison Square Garden in New York has been named as a likely location for the Lomachenko fight, but Crolla will not be overawed by the prospect of appearing at the famed venue, which has staged some of boxing's biggest fights. "It would certainly be a nice place to box, but that isn't in my head that I'd be thinking of, or thinking of getting in the ring with Lomachenko," he said. "I'd be going over there to win a world title and shock the world." You can hear more of an exclusive interview with Anthony Crolla on this week's Ringside Toe 2 Toe podcast.